Our dental practice is proud to provide comprehensive dental services Our dental practice knows that every adult is different when it comes to taking care of their teeth. Some adults only need an occasional checkup and cleaning, and some need extensive work such as Bridges and Implants. We also know that some patients feel perfectly fine about visiting the dentist, while some feel very nervous. In those cases, we offer plenty of services to help our clients feel comfortable about their visit. 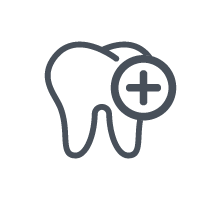 Having a health mouth is not only important for your smile, but has other health benefits as well. There has been a link between gum disease and a higher risk for a stroke, heart attack and respiratory issues. Gum disease can also cause complications during a pregnancy and complications with diabetes. No matter your situation, we want you to know that our team are here to help. We use state of the art technology that covers every aspect of Adult Dentistry. Whether it is time for your six-month checkup, or you feel that something is wrong, call our practice to set an appointment. We are here to help! The practice of Cosmetic Dentistry improves the aesthetics or appearance of the teeth, gums, and smile. At our dental practice, we understand that your smile is essential to your appearance, and any issues you may have with it may make you feel uncomfortable. We are proud to offer a variety of services that can resolve cosmetic dental problems and give you a smile make over. We know that the appearance of the mouth is a sensitive situation for most. At our practice we pride ourselves in our thorough examinations so that our clients are educated and know their options for improving their teeth and smile. You can contact us about one-on-one consultation in which you can hear more about the options that are available to you.